The first several projects of City Repair were organized out of PRI, including Intersection Repair, the T-Horse, and the Village Building Convergence itself. That was from 1996 to 2001, and nothing has slowed down since then. A few years ago PRI actually became a project in its’ own right, acting as a demonstration site for urban permaculture and intentional, activist community. 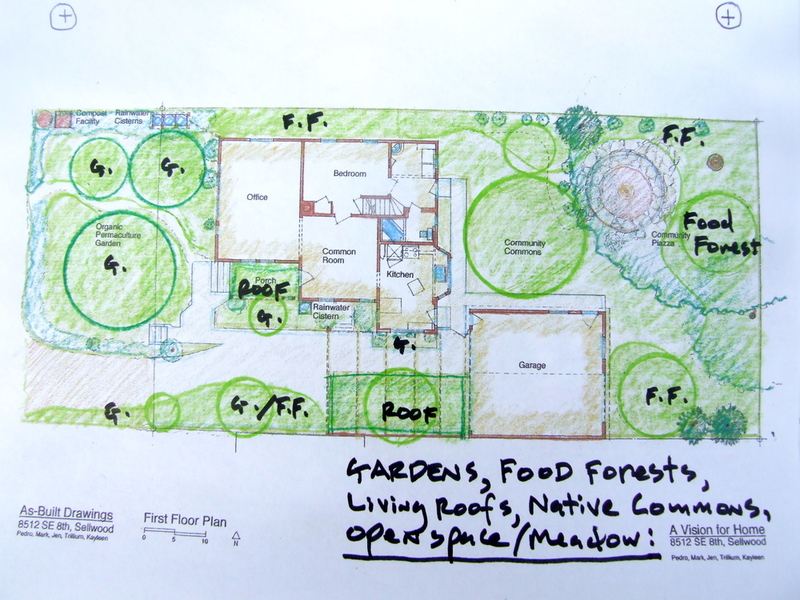 It has become an imbedded teaching facility, bringing benefit to all surrounding neighbors through the provision of free permaculture master plans, and actual installations.